Steven Spielberg attends the Warner Bros. "Ready Player One" panel on day three of Comic-Con International on Saturday, July 22, 2017, in San Diego. He's now signed on to join the DC universe. Steven Spielberg is flying into the DC Universe with the World War II action adventure "Blackhawk." Warner Bros. Chairman Toby Emmerich says Tuesday that the legendary filmmaker will produce and may direct the film for the studio. The "Blackhawk" series started in 1941 and follows a group of ace WWII-era pilots as they fight evils, including the Axis powers. "Jurassic Park" and "War of the Worlds" screenwriter David Koepp is writing the script. 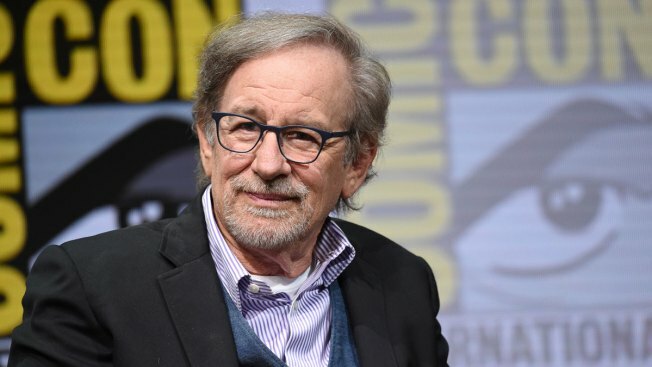 Spielberg recently collaborated with Warner Bros. on the futuristic adventure "Ready Player One" which has made over $476 million worldwide. The Oscar-winning director has a few projects on his plate first, however, including the fifth "Indiana Jones" and "West Side Story." No release date has been set for "Blackhawk."